 Colorado Springs Criminal Defense & DUI Lawyer | Christian A. Schwaner, P.C. Watch the video above to hear from real people, like you, who have hired Christian to defend them. Complete this form and Christian will contact you as soon as possible. If your freedoms and future are endangered by a criminal arrest, you should be represented by a former prosecutor who knows the criminal justice system inside-out. Other criminal issues that receive my attention include weapons possession, military crimes, and juvenile cases. To get started contact me below, or call 719-577-9700719-577-9700. 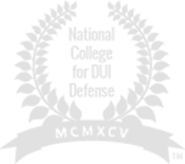 6 reasons to choose Schwaner Law, P.c. Trust a Former Prosecutor who knows the system and has been practicing here locally for my entire career. Your current situation doesn’t need to define you. We do this every day and you will be in understanding capable hands. I personally answer my phone and don’t let my staff screen calls. Call me and I can Help. I will give you everything you can do to help me help you through this process. My practice is small enough to make you a priority but still experienced enough to achieve for you the best result possible. I will educate you on what to expect on the pathway to your best possible result with compassion and guidance. Colorado regulates drunk driving more strictly than most states. Conviction for DUI (normally a Blood Alcohol Content of 0.08 percent and above) can result in fines, jail time, driver’s license suspension, probation, installation of an Ignition Interlock Device (IID) on your car, community service, alcohol education classes, and impoundment of your vehicle. Unlike most states, in Colorado, drivers whose BAC is even less than 0.08 percent can be charged with Driving While Ability Impaired (DWAI). In Colorado, driving under the influence of marijuana is prosecuted as a separate offense called “Driving Under the Influence of Drugs” (DUID). The so-called “marijuana DUI” has come into sharp public focus since the legalization of the recreational use of marijuana in Colorado. Even when a blood test indicates that a driver‘s bloodstream holds more than the maximum legal amount of THC (5 ng/ml), Colorado law permits that a criminal defense lawyer is permitted to argue, based on the circumstances, that the defendant was not impaired despite the presence of 5ng/ml of THC in his bloodstream. In Colorado, “domestic violence” is a label attached to an existing crime, such as harassment or stalking, that can be used to increase the severity of the sentence. This designation has been used as a political football in a way that can be unfair to the accused. The police cannot refrain from arresting the accused as long as probable cause is present. A restraining order must be automatically issued that could result in a second criminal charge if violated – even unintentionally. The prosecutor lacks the discretion to refrain from prosecuting as long as there is any chance at all of a conviction (making plea bargaining difficult). Just about anyone convicted of a criminal offense risks indirect ramifications, including professional consequences. The risks for military personnel are particularly acute, however, especially for certain types of offenses. I have represented many military personnel, and I am quite familiar with their special concerns. Not only can I defend my clients vigorously in court, but I can also advise my clients on whether or not it is necessary to report the arrest to a superior. Unfortunately, I cannot represent defendants in military courts. Since plea bargaining involves an agreement to plead guilty in exchange for conviction of a lesser offense, it is obviously not the first choice for a criminal defendant. Nevertheless, it is sometimes the best option for a defendant who is in a difficult legal position. Prosecutors agree to plea bargains largely to rid their dockets of relatively weak cases that might result in an acquittal – after all, it takes a lot less time to agree to ask the judge to ratify a plea bargain than it does to proceed with a full-blown trial. A good plea bargain can be struck by an experienced DUI attorney in Colorado Springs with an eye for weaknesses in the prosecution’s case and a talent for effective negotiation. While many attorneys accept cases of all types, I have dedicated my career exclusively to the practice of criminal defense, with an emphasis on DUI defense. 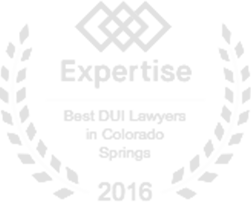 As a Colorado Springs DUI & Criminal defense attorney, I approach each client’s case by providing a high level of personal attention, no matter how large or small your legal matter. 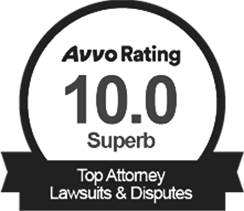 I am a solo practitioner, which means that you will never be handed off to a less experienced associate attorney. You will always speak directly to me about your legal needs. I will personally answer your questions. My downtown Colorado Springs law office is easily accessible from I-25 via the East Cimarron Street exit. My office hours are Monday through Friday, 8:00 a.m. to 5:00 p.m. In addition, I offer my clients free initial consultations that can be conducted at a police station or jail, if necessary, credit card payment options, and a convenient law office location, one block south of the El Paso County Courthouse. If you reach me from a jail or police station, and arrange to meet with you there. Call our Colorado Springs criminal & DUI defense law firm today or fill out the contact form to get in touch.